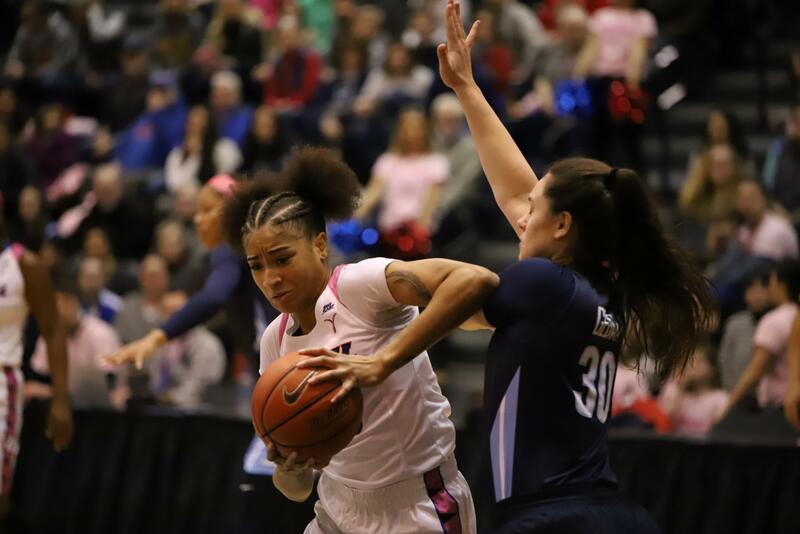 Following a pair of wins at home against Georgetown and Villanova, two players from the DePaul women’s basketball team received recognition for their play from the past week and this season in senior forward Mart’e Grays and junior guard Kelly Campbell. Grays was awarded Big East player of the week after putting up big numbers in two games at McGrath-Phillips arena last week. The senior forward set a new career high with 31 points against Villanova 12-13 shooting and 4-5 from the 3-point line in a 93-70 DePaul victory. Grays followed up that performance with another strong outing against Georgetown, where she scored 18 points in the game with 15 of them coming in the second half. In those two games, Grays averaged 24.5 points points per game on 20-25 shooting and 6-8 from the 3-point line. On the season, Grays is tied with DePaul junior forward Chante Stonewall for the team lead in scoring average per game with 14.2 points per game. This is the first time this season that Grays has earned Big East player of the week. 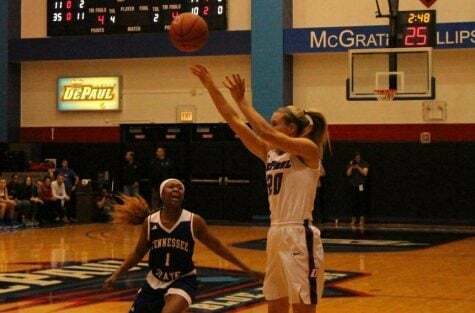 The other good news that came across Monday is the The Naismith Memorial Basketball Hall of Fame and Women’s Basketball Coaches Association narrowed its list Monday to 10 players for the 2019 Nancy Lieberman Award, and Campbell was one of the players selected to the list. The Nancy Lieberman Award is given to the best point guard in the country that year. In October a watchlist of 20 players was released, but has since been narrowed down to 10 players. “The 10 top candidates selected for the Nancy Lieberman Award have proven themselves as outstanding leaders and athletes and we look forward to watching them compete down the stretch,” said John L. Doleva, President and CEO of the Basketball Hall of Fame. Campbell has helped lead the Blue Demons to a 17-7 overall record and an 8-4 Big East record this season. At 5-foot-10 inches, Campbell leads DePaul in assists for the second straight season and is 12th in the nation in assist-turnover ratio, which is also the best in the Big East. Campbell is also among the leaders in rebounds and assists in the conference as well. In March, that list will be narrowed down to five players and the five finalists will be presented to Nancy Lieberman, who the award is named after, and the Hall of Fame’s selection committee. The winner of the prestigious award will be announced at the 2019 Women’s Final Four in Tampa, Florida.